Vaido (Võrumaa, Estonia) on 7 August 2017 in Miscellaneous. 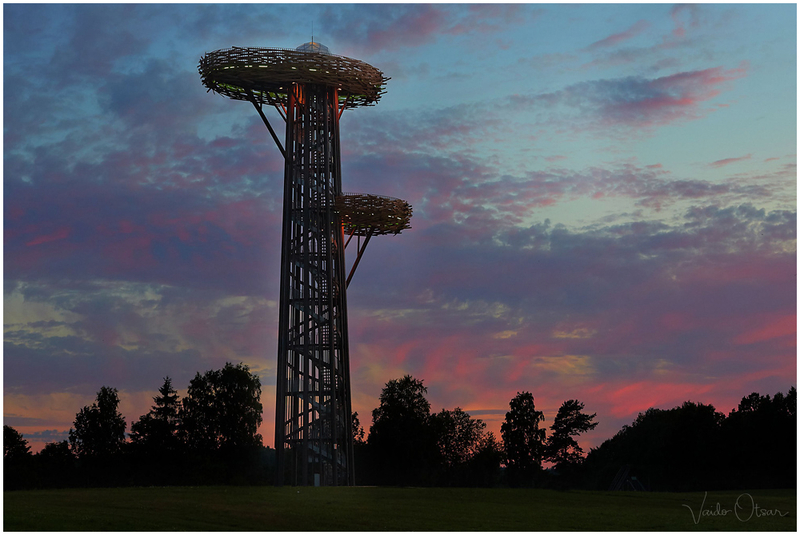 Nesting Tree (Pesapuu) is an observation tower in Rõuge, Estonia. Pesapuu on Rõuge Ööbikuoru nõlval asuv kolmekümne meetri kõrgune vaatetorn. I would like to see the bird that nests there! ;-) Beautiful shot of this clever tower. Interesting observation tower with nest like viewing terraces. The sunset would have look spectacular from up there, just as it looks superb from below too.